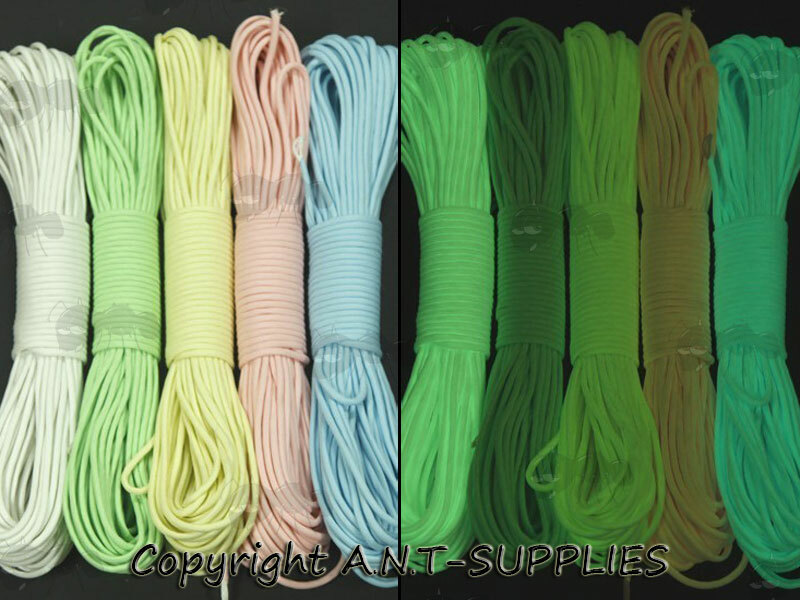 Choice of colour paracord that glows in the dark. Extra tight weave outer sheath, with 9 two-ply inner yarns. 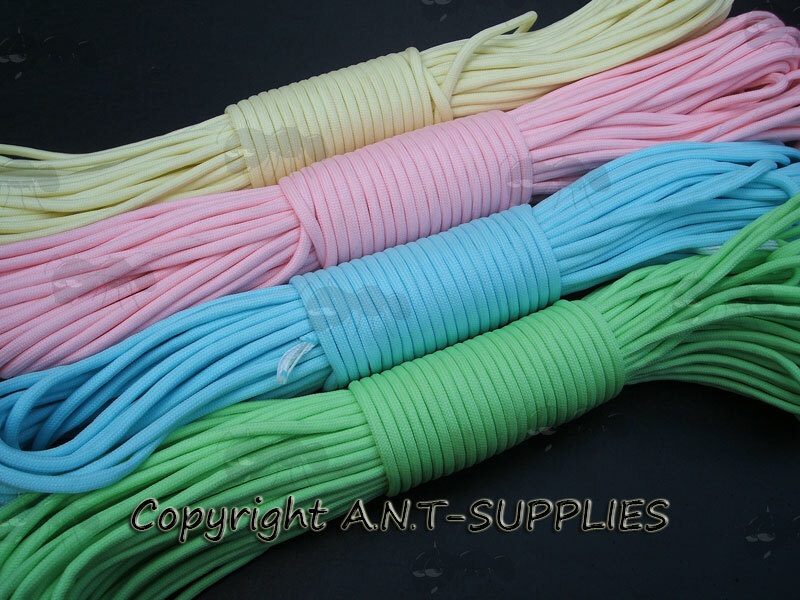 Also available ~ Glow In The Dark paracord bracelets. 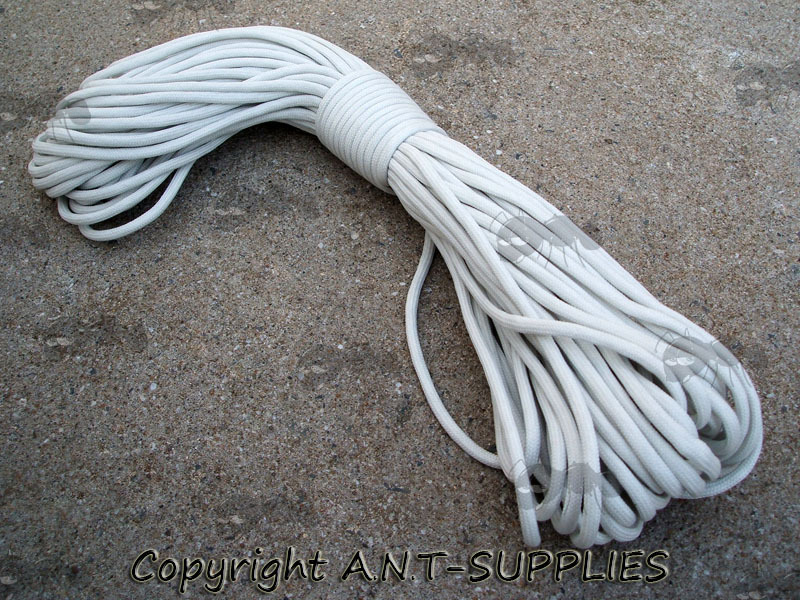 The manufacturer claims it's load capacity is approx 140kg and the weight is approx 180 grams per 30 metres. 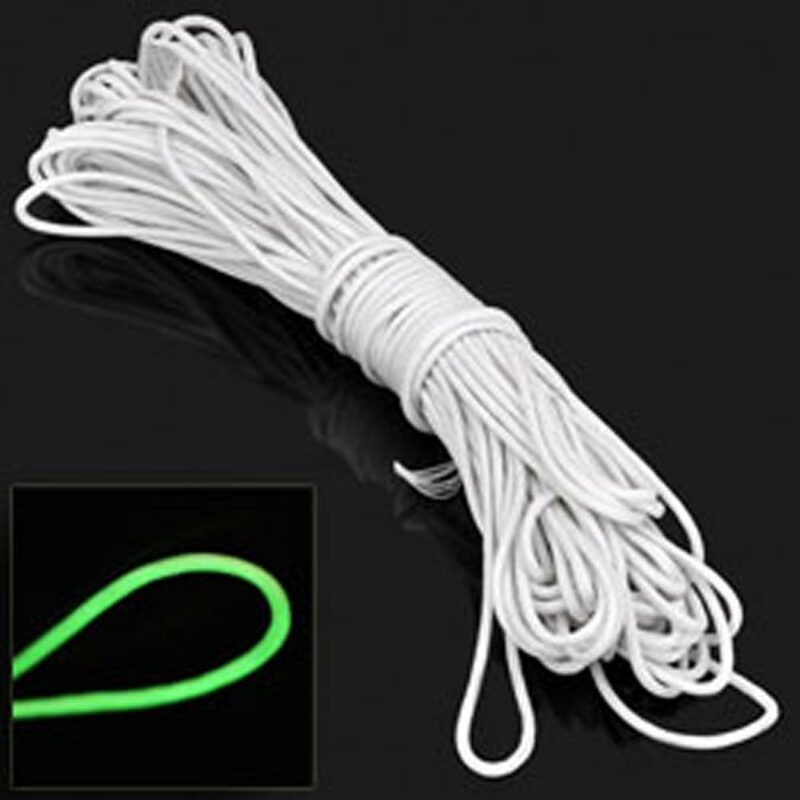 Meaning it's most similar to USA type II paracord (not as strong but lighter).